Village Grace Mission Center, a Grace Brethren Cleveland, Ohio-based ministry founded and directed by Richard and Reida Bartley (pictured), was honored this past Veterans Day with a resolution of appreciation from the City of Cleveland. The resolution was presented during a Village praise and worship service by Slavic Village councilman Tony Brancatelli. The resolution cites the mission, saying it “fulfills its mission through the provision of children’s programs and resources designed to help children, youth and their families achieve stability and self-sufficiency.” Particularly noted is the Christmas Gift Treasure Box Program the mission conducts each year for needy children in the inner city of Cleveland to receive toys and school supplies through area churches and schools. Since the program’s inception, the resolution notes, more than a half-million dollars in donations, gifts, and toys have been given. Raised in Cleveland and a graduate of the Cleveland public school system, Richard is a ten-year Navy veteran and a retired teacher from the same school that he graduated from. As a veteran teacher and coach in the Cleveland public schools, God put him into a position to be a guiding light for the youth at Aviation High and Max Hayes Vocational High School. God has also used Bartley’s interest in motorcycles to lead him into becoming one of the founding fathers of the Christian Motorcyclists Association Cleveland Chapter. Being the president of the group for five years allowed Richard to share the gospel with different groups of motorcycle enthusiasts all over the city, state and country. He received his Masters in Ministry from Grace Theological Seminary in the summer of 2000. Reida was raised in Alabama and has worked for many years in the insurance industry. Most recently Reida worked for the Nordonia School System with special needs children. She has been the secretary of the Christian Motorcyclists Association Cleveland Chapter for five years and rides her own motorcycle. The Bartleys have been married for 24 years and have four children and nine grandchildren. Richard was raised in the Slavic Village area and still has family there. The Lord has given this couple a vision to start a Mission Center in Cleveland for compassion ministries that will lead to church planting. They have put their faith and trust in the Lord and will do whatever is asked of them. 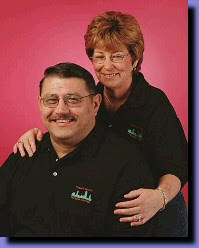 Richard and Reida Bartley founded the Village Grace Mission Center in 1996. In 1999 the offices moved out of their garage and into a storefront at 6602 Lansing Avenue. The ministry started to flourish with the implementation of children`s programs. The S.E.A.L. Team program started and youth groups from around the state were brought into the Mission Center to help with service projects within the Slavic Village area. In August of 2004, the Mission Center was blessed with donations that allowed them to purchase a church and house at 3561 Independence Road. This purchase has given Village Grace a permanent home to continue God`s work in the Slavic Village area. More information is available at http://www.villagegrace.org.